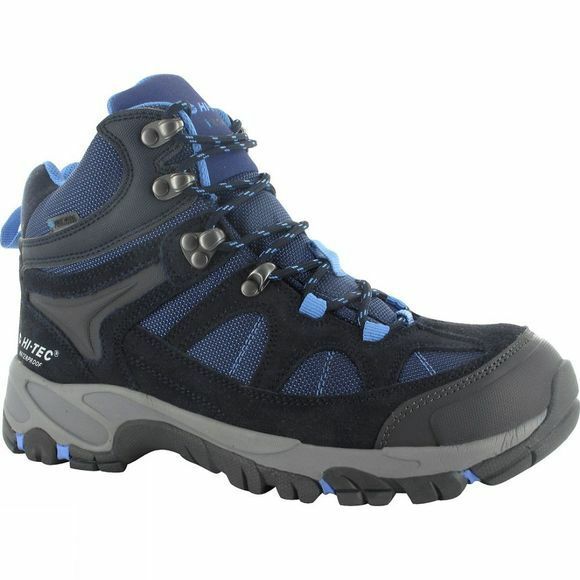 The Women's Altitude Lite II WP Boot is packed with Hi-Tec's technologies and features. The V-Lite lightweight design, coupled with a Dri-Tec waterproof membrane and I-Shield water and dirt repellent technology makes it perfect for walking all year round. The durable leather and mesh upper, padded tongue and collar, and PU midsole offers extreme comfort. A versatile lacing system provides a secure fit and the gusseted tongue keeps out debris on tougher trails. The boot also has a Vibram rubber outsole for durability and outstanding traction. A great choice for ladies who love the outdoors and want to hit the trails in comfort and confidence.